It’s been said that nothing in life is guaranteed, yet one thing is certain in sales: There will always be objections. In the sales profession, objections are a necessary evil. After all, if there were no objections there wouldn’t be a need for salespeople; thankfully the products do not sell themselves and need advocates like you and me, to favorably demonstrate the advantages we have over our competitors’. 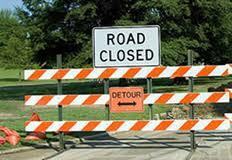 Look at objections not as roadblocks but rather as detours. If you were traveling to Disney World on a family vacation and 400 miles into the trip you ran into a “Road Closed” sign would you turn around and go home? Of course not, you would search for an alternative route and continue on your trip. Although the trip may take a little longer, you know you will eventually get there. The Road To The Sale will be full of “Road Closed” signs, but it is up to you, Sales Professional, to find unconventional routes in order to complete the sales journey. Most objections have options. Some customers give objections as a means of stalling; they will give an objection trying to freeze the obligation of having to make a buy/not buy decision, while other customers give objections by saying No when in fact they may be saying Know. They cannot make a decision because they don’t know enough about you, your dealership, or the product you represent. When a customer gives you an objection, ask yourself is it a wall or a hall? Is the objection one that you reach an impasse and can go no further or does the objection have an alternative route-simply, does the stated objection have any options? If the customer’s objection has options, the sale still has a heartbeat. In order to get a proper diagnosis, some surgeons have to do exploratory surgery. You are a surgeon on the black top and when you are faced with an objection it is up to you to do exploratory surgery and bring a solution to your customer’s transportation problem. A salesperson is viewed as being pushy when he gives his customer only one option-to buy or not buy, instead of exploring a client’s objections and recommending alternative options in an effort to bring closure to a sale. When faced with a major health crisis, doctors give their patients their options; when confronted with a problem in the cockpit, pilots weigh their options; when a country is faced with a crisis, Presidents seek their options. Your career is no different; it is life or death [to your paycheck;] the possibility to crash and burn does loom; an all-out war of rejection and adversity is waged every day on the black top. The best defenses to objections are options. 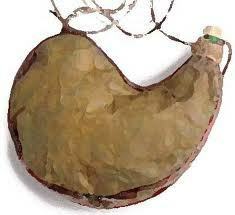 Centuries ago, before elaborate bottling processes and wineries, wines were transported in wineskins. It was advised to never pour new wine into old wineskins because old wineskins were contaminated with fermented bacteria. New wineskins lose their pliability as they age and burst when the new wine is poured into old skins, the skins no longer have the flexibility to expand and contract to the fermented gases. Isn’t that what we do? As we age, we lack the flexibility to adjust to life and earn the label of being “set in our ways.” We use the excuse of “that’s just who I am,” as if it’s ok and then can’t understand why year after year nothing is changing. Each day, each week, month after month, and every year, we receive new wine. Daily, we receive new opportunities that can turn our lives around, but we are pouring new wine, new opportunities into old wineskins. Our mind’s old skins, fermented with past failures, setbacks, and negative thoughts are bursting, spilling new opportunities onto the ground and becoming washed away with our self-imposed limitations. Just as a snake sheds its skin and begins anew, begin each day anew with expectations. When your expectations rise above your past and are not limited on your present circumstances, a new skin, your new beginning, is set in motion. You will receive what you expect.